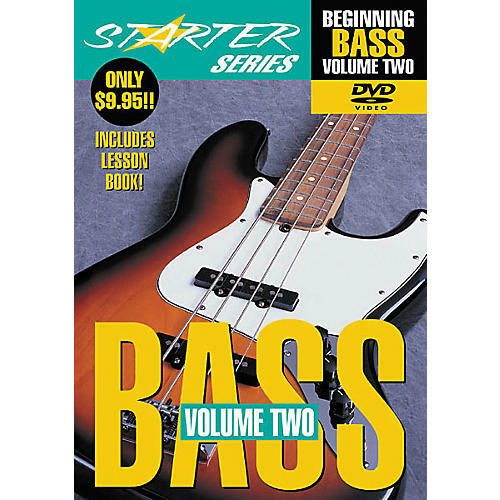 Filled with rock-solid information from beginning to end, this intermediate-level DVD helps bassists build a stronger foundation, covering: major and minor pentatonic scales; harmonics; chords; left-hand muting; octaves, fifths and bass lines; funk grooves; techniques such as slapping, plucking, hammer-ons and pull-offs; and more! Includes great live-band footage so viewers can jam along, and a detailed booklet showing all examples in notation and tablature. Taught by Larry Antonino, who has performed with Jeff Beck, Michael McDonald, Steve Lukather, Chaka Khan, The Jazz Crusaders and many other artists. 30 minutes.